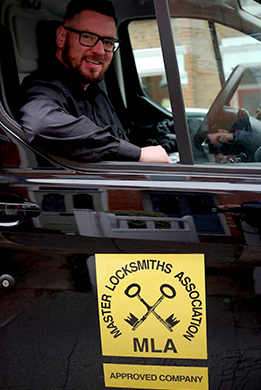 In relation to protecting your business or home, IKS are Watford locksmith specialists you can count on. We provide a professional 24hr mobile locksmith service throughout Watford and areas local to Watford. Call us if you have a locksmith issue anywhere in Watford. We also cover the nearby areas of Croxley Green, Kings Langley, Bushey, Rickmansworth, Chorleywood, Abbots Langley, Carpenders Parkand South Oxhey. We offer professional 24 hr mobile locksmiths Watford services to residential and commercial customers in Watford. Our team of emergency locksmiths London professionals can respond immediately to emergency call-outs anywhere in the Watford area 24 hrs a day, 7 days a week, with no call out charge ensuring your complete peace of mind no matter what awkward predictament you find you are in. If you have mislaid your keys, arrived home to a burglary or locked yourself out, there is no need to panic because we’re only a quick phone call away. Our 24 hour emergency locksmith Watford service second to none. We don’t charge a fee to visit your property and assess the work required. You only pay for work completed. We are the Watford Locksmith specialists you can trust! Our fully qualified and approved locksmiths in Watford are always on stand-by to attend to emergency calls. On receiving your call, one of our professional locksmiths will be sent out to your premises. To be a Master Locksmith it is necessary to be fully CRB checked. All IKS Locksmiths in Watford are CRB Checked. Our top priority is your security which is why we offer a free security survey to help you identify any security issues. The security survey will allow our expert locksmiths in Watford to make recommendations on the ideal security systems for the premises you wish to secure. Call us on 07947 426 981 today to book an appointment with one of Watford locksmith specialists who will meet you at your property, whether it’s your home or office, to carry out a thorough free security survey. We will also be happy to discuss any of our locksmith services with you. Our business is based on a foundation of efficiency, reliability and trust. We are MLA Approved mobile lockmsmith services you can call in a time of need. Competitive rates and high standards are key to IKS Locksmiths. Maybe you have lost your keys whilst shopping in the Harlequin Shopping Centre in Watford Town Centre, just bought a home in Kings Langley or if you’ve been broken into whilst out watching the game at Watford FC we can quickly and efficiently secure your premises at any time of the day. At the end of the day we are your locksmith Watford specialists!